Based on his ideas, here is a strategy any of us can use to effectively plan and achieve our eventual occupational success. To most students, I think, career planning consists primarily of choosing a major, getting the highest grades we can achieve, and being awarded the academic degree(s) in that major – usually not much more than that. As alumni, our career planning is then to get the best job we can find, given our training, education, and credentials up to that point. But there is yet another step we can take; a step that I’m not sure most of us take and one that can give us the long-term career success most of us look forward to achieving in our career life. That step is truly envisioning your future. First, use your imagination, your imagery to look ahead to what – ideally – you want to be doing 10 or 20 years from now. What do you want your typical day to be like? What kind of work do you want to be doing? What kinds of skills and knowledge do you picture yourself having? What will your role with others be? Do you want to be managing, or planning, or supervising, or making decisions, or leading others, or doing technical work, or writing, or speaking and presenting. Paint a picture in your mind’s eye of what you eventually want to be doing. It’s not simply a job title. What, specifically, is the impact you want to have in the world? It’s not just a goal – make it a true vision. Now ask yourself this: What are you doing today, now, to work towards that vision? 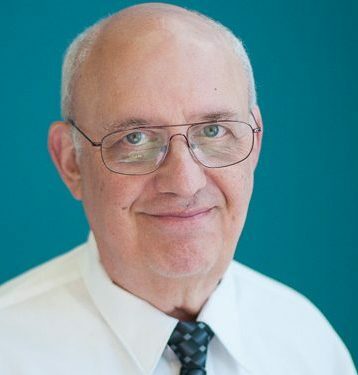 Dr. Sander (“Sandy”) Marcus is an experienced clinical psychologist who received his Ph.D. from Illinois Tech and was the former Director of Illinois Tech’s Counseling Center. He is currently a career consultant within Career Services, and has decades of experience as a career and personal counselor, author, and consultant. ← What makes great leadership work special?